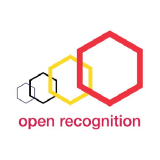 Promoting #openrecognition in Belgium. Closing the gap in skill recognition. On March 2nd, during the Open Data Day 2019 at BeCentral in Brussels, we have decided to rename the Open Knowledge Belgium working group on Open Badges as Open Recognition Belgium.